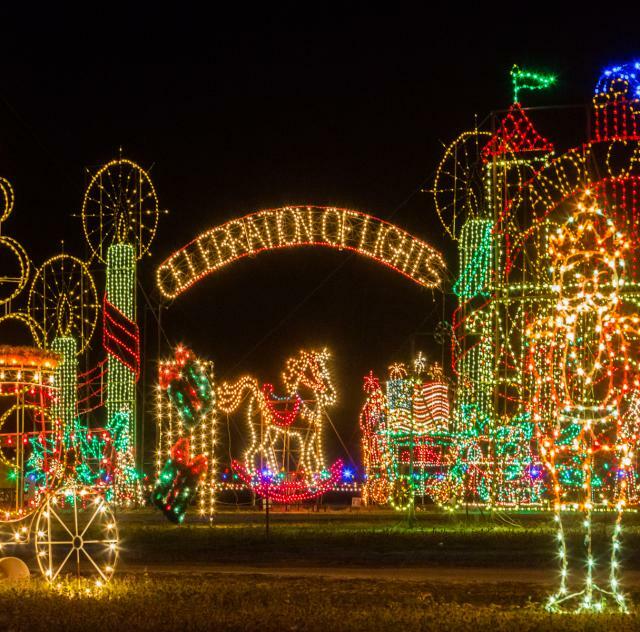 The largest and oldest Christmas light show in eastern North Carolina. Family owned and operated business that started more than 40 years ago. “The Old Country Store”is one of the largest candy stores in the state specializing in Christmas and old fashion candy, carrying over 300 varieties. We display lights on over 30 acres and operate a train ride and carousel through 10 plus acres. Don't forget to visit Santa with a photo opportunity. Seasonal Hours/ Days: Sunday-Thursday 5pm-10pm, Friday-Saturday 5pm-11pm. Opens 3rd Friday in November and runs through New Year's Eve.